Out in the market to find the best BlueStacks alternative to bring the power of Android to your PC? Here’s a quick breakdown on what BlueStacks emulator is capable of and the best replacements for it out there. The Android OS as it has improved over the years has been built up to become one of the most versatile user platforms out there. Apart from the mobile screen, the open-source nature of Android has made it available to users across the computer platform as well. Whether you need a virtual Android device on your Windows or Mac computer to try out a few apps and games, or you’re a developer who needs to test out their apps before deploying them to the Google Play Store, Android emulators are all you need. But when it comes to select the ideal Android emulator for your needs, there are too many choices out there. However, a specific name has been in the emulator business long enough to be regarded as the industry standard. The popularity of Android OS has boosted not just the market share of devices, but the BlueStacks alternative out there as well. But before we jump into the best replacements for BlueStacks out there, let’s find out more about it. Back in the day, all of the Android emulators were simply not user-friendly enough for the mainstream users That’s when a third-party service provider under the name BlueStacks rose to the occasion with a rather decent user interface. Over the years, this Android emulator has only evolved for the better, bringing Android 7.0 Nougat support. There’s even a built-in App Center working as a souped-up Google Play Store, and a lot more to the table. 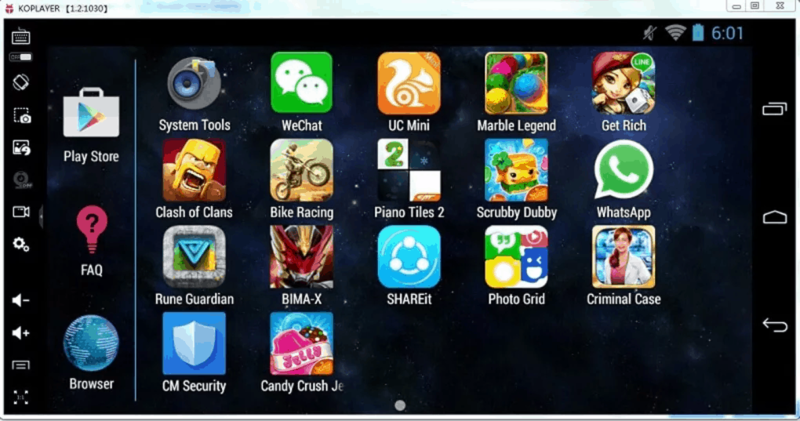 With the release of BlueStacks 3, the service has developed the BlueStacks Gaming Platform in order to encourage users. Not only is it ideal for using apps and services, but to enjoy a big screen experience when mobile gaming. They’ve also developed an entire initiative called the BlueStacks Select program. This program offers incentivized rewards to users with exclusive unlockable content and in-game items by collaborating with game developers. You’re also offered intuitive controls for playing games using the mouse and keyboard, as well as support for a gamepad. One of the oldest and most dependable names in the Android emulator genre. Dedicated gaming platform with support for higher resolution high-definition graphics. Multi-Instance support to launch multiple apps and games in a single go. A built-in communication channel to chat with other users through BlueStacks Friends. Simplified installation and doesn’t use too much of the system’s resources. While the basic account is free, you need to have a premium subscription to the service to disable advertisements. This can get a bit annoying, especially during gaming sessions that can last hours at a stretch. 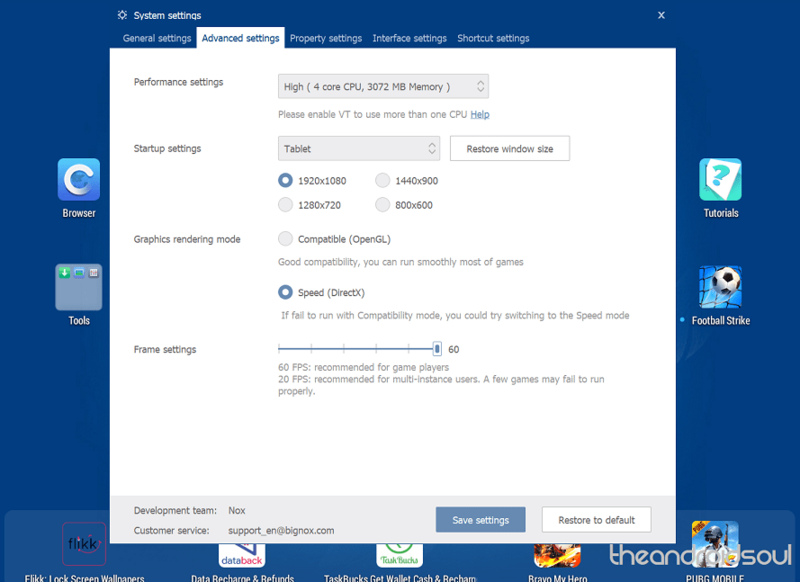 Performance can sometimes be buggy and lag when playing high-graphic games even on a well-equipped system. While BlueStacks is being fine-tuned every now and then for improved performance, it doesn’t match mobile performance just yet. You could be annoyed with the intrusive ads on BlueStacks or simply want an Android emulator that’s easy to handle. There is where you’re going to need to find yourself a replacement to BlueStacks that ideally fits your personal requirements. Are you looking for an emulator that is quick-and-easy to use, suited for gaming, and works well for app developers? We’ve compiled a list of the best BlueStacks alternative available with a feature-by-feature breakdown, helping you make a well-informed decision. While Nox App Player is not updated to Android 7.0 Nougat and still runs on the outdated Android 4.4 KitKat, it is by no means any less when it comes to usability. However, there is a newer version of Nox App Player that runs on Android 5.1.1 Lollipop, but in our review, it seemed that the older version was much more stable and more likely to run apps smoothly. 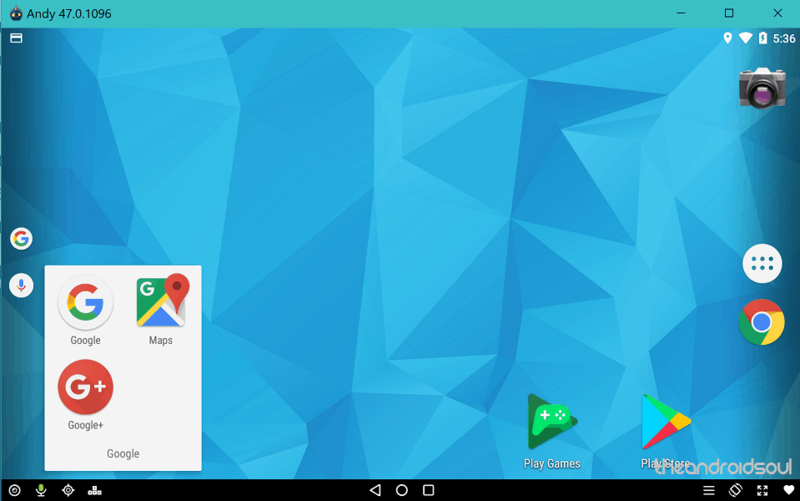 Unlike BlueStacks which has essentially created its own Android-based UI, Nox Player is a true emulator that creates a virtual Android device that you can customize the hardware specs and display settings for. While new users do need a minute or two to understand the user interface, it is quite responsive and every swipe you make using the mouse is registered accurately. 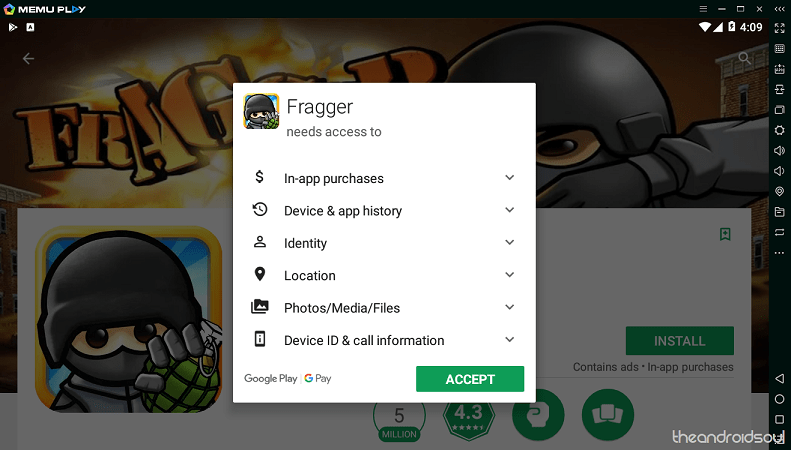 With gaming in mind, you will be easily able to enjoy most Android games, including 3D graphics games at a decent framerate based on your computer’s hardware, along with an elaborate toolbar on the right to help you create video screen recordings, install APK files directly, set up and customize a gamepad and so much more. A highly stable program which is one of the more “true” forms of Android emulators. The program is completely free to use with no intrusive advertisements or paid features. Rooting capability comes built into the system and simply needs to be enabled from the Settings. Allows real Android device emulation to test out device-specific apps and games easily. One of the most customizable Android emulators out there. Despite being recently updated with Android 5.1.1 Lollipop, it can seem a bit outdated. Using multiple apps at once in tabular form is not possible like it is on BlueStacks. 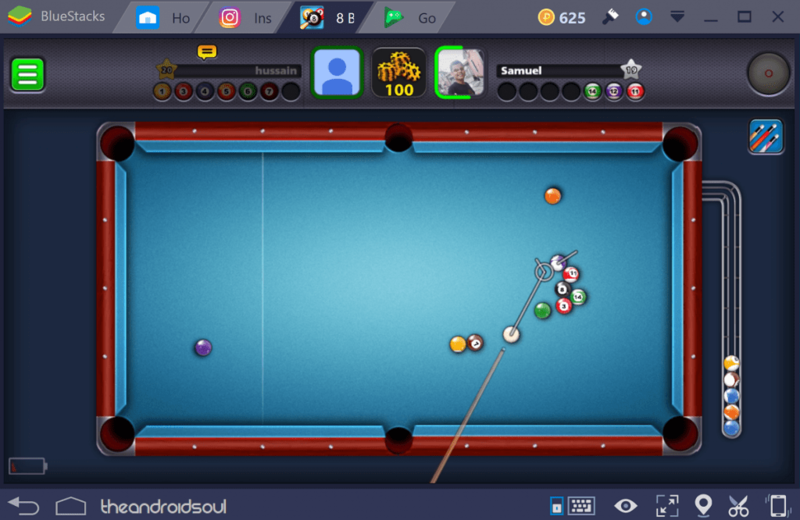 The fact that Android games are getting better and better each year has inspired plenty of developers to take Android emulators seriously, which is one of the reasons this BlueStacks alternative exists. While highly leaning on the side of gaming with a large number of gamepad layout customization options and hardware tweaking features to get the best gaming experience, this Android emulator can pretty much handle anything you throw at it. The general user interface of this BlueStacks alternative is strikingly similar to that of Nox Player, with a standalone virtual Android device emulator design where you can launch multiple instances of the MEmu Player to try out multiple apps at once. Similarly, the emulator runs on the older Android 5.1.1 Lollipop out of the box, but the development for Android 7.1 Nougat beta is already underway with the beat version ready for you to try out. However, if you do experience games crashing, all you need to do is head over to Settings – General and change the Graphics to OpenGL and it’ll all be back to normal. Highly stable emulator for Android with a slick and clean user interface. Absolutely free with no advertisements whatsoever or any locked premium features. MEmu Player comes pre-rooted with superuser permissions. Android 7.1 Nougat coming soon. You can’t use multiple apps in tabs like you can on the BlueStacks emulator. The fact that Android OS is an open-source platform gives it plenty of room for improvement not just from Google, but independent developers as well. The same stretches over to the Android emulator genre, where AndY has created a “Desktop Mobile” for users who want something that is simple to get around, but also state of the art. One the few emulators running Android 7.1.2 Nougat stable version right out of the box, AndY has a clean user interface, maybe more than any other Android emulator we’ve tried out. While the download file was almost twice as large as all of the other choices on the list, the VMWare Player based Android emulator works just like an Android client for your Mac and Windows computer. However, unlike any other emulator we tried out, AndY works as a standalone Android virtual machine by itself, with no toolbar for added actions such as screen recording or running multiple instances of this BlueStacks alternative emulator. While experienced users may not be fond of this, as a newbie looking for a simple and robust Android emulator, AndY hits all of the right spots. Based on the relatively new and stable version of Android 7.1.2 Nougat. Some of the smoothest transitions and overall user experience on an Android emulator. No-brainer navigation tools with no advanced complicated features to distract you. Integrated for location, voice, and camera support which makes it the closest thing to a virtual Android device. Cannot run multiple instances of Android OS, or even multiple apps at once. Custom ROMs may have been around forever, but with the release of RemixOS Player a few years ago. That is why we got a glimpse of Chrome OS as we know it today. While based on the older Android 6.0 Marshmallow, RemixOS Player is quite unique. 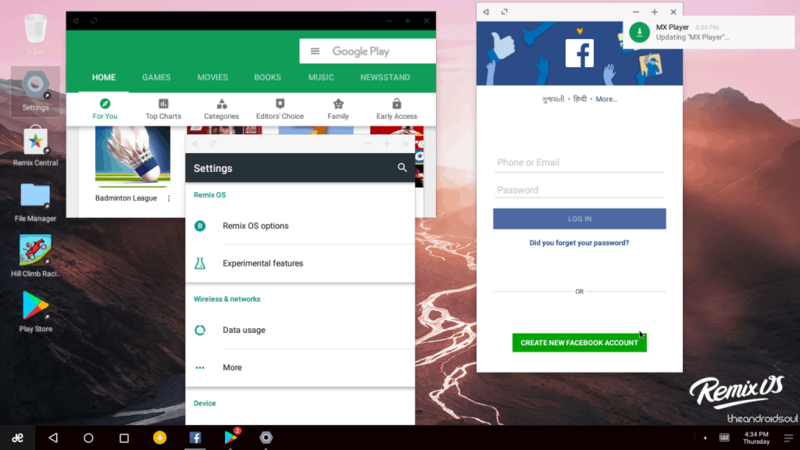 Among the best BlueStacks alternative that you can find today, RemixOS Player is among the most versatile Android emulators you’ll ever find out there. Unlike all of the others on the list that run a virtual Android machine to emulate the operating system, this Android emulator creates a desktop version of Android for your computer. You start off by configuring the RemixOS Player based on your computer’s hardware capabilities and once the client launches, it acts as a secondary Android-based desktop OS upon your existing desktop OS. And it isn’t just about the looks, since you can use RemixOS Player as a desktop version of Android with features to open multiple apps as tabs just like you would on Windows or Mac, get a notification taskbar on the right side of the screen, and even the ability to use the mouse and keyboard natively with the interface. The emulator even comes with a special floating tool to help you not only connect supported gamepads for the Xbox and PlayStation but other generic ones as well. However, testing the RemixOS Player for gaming, it powers up 3D graphics games, but the poor framerate makes the gameplay less than impressive. But when it comes to multitasking and using multiple apps and services in a single space, this BlueStacks alternative is second to none. One of a kind Android desktop emulator that looks and functions like Chrome OS. Can run multiple apps at once as tabs on the same screen without even switching over. Comes with native support for mouse and keyboard along with gamepads. Packed with root access to grant your superuser permissions easily. Lag in response and choppy framerate make it less than desirable for mainstream high-graphic gaming. This offering is built around the idea of keeping the Android emulators lightweight and high on performance at all times. Available with features to reduce the size of APK packages, enhanced gaming performance, and fewer bugs, KOPLAYER is the whole package. While there are a few ads here and there, this BlueStacks alternative is completely free to use. You get a simplified UI to start off with, along with a fluidic design to go with it. During our experience with KOPLAYER, 3D games seemed to work just fine, although there was lag noticed during high-speed shifts. You do get the ability to remap controls for keyboard and gamepad, along with multi-account usage for competitive gaming locally. Easy to use design with a clean interface that is made better with the small installation size. Absolutely free of cost to the users with no hidden premium features limiting your user experience. Designed exclusively for a mess-free Android gaming experience on the big screen. Few ads every now and then may reduce the seamless gaming experience you’re after. There is a reason BlueStacks tops every list of Android emulators, but for some of us, it doesn’t cut it. You might want an emulator that offers ChromeOS-style user interface, or something that is lightweight and easy to use. In that case, the best BlueStacks alternative emulators we’ve mentioned above will help get the job done swimmingly. We’ve tried and tested each of the above-given choices with the best 3D graphics games on standard PC settings. Do you need an Android emulator to play high octane games like PUBG and Asphalt 8? Or are you looking for a desktop-sized solution to run daily Android apps and test out your development skills? Be sure to mention your requirement below in the comments section. We’ll try to help you find the best BlueStacks alternative tailored to your liking.